An engineer and mother of three, Heather McWhorter came to the Wilmington area from central Pennsylvania with a purpose: to help area businesses succeed. 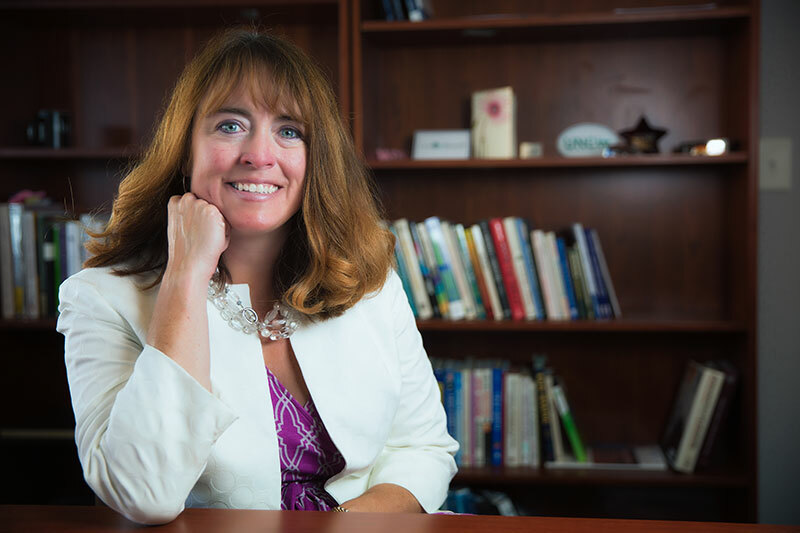 McWhorter became the new regional director of the Small Business and Technology Development Center (SBTDC) at the University of North Carolina Wilmington in early August and has begun the process of meeting partners, learning the region and making her mark on the organization. “I am just excited to be part of the community. Everybody has been so welcoming,” McWhorter said. The SBTDC regional center is affiliated with UNCW and the Cameron School of Business, and serves New Hanover, Brunswick, Pender, Columbus, Duplin and Onslow counties. The SBTDC at UNCW is part of a statewide advisory service of the University of North Carolina System, with 16 offices. “Here at the SBTDC we focus on small- to mid-sized businesses. A lot of what we do is helping businesses to obtain capital,” McWhorter said. McWhorter came to the Wilmington area to fill the role, after having held a similar position at Penn State University. During her eight-year stint as director there, she helped a similar organization with the university grow its business reach from 250 to 800 clients a year. Prior to her time with Penn State, she had an eight-year career with a company consulting for the military and NASA to help them solve environmental issues. At UNCW, McWhorter said she’s using her past experience to expand the regional SBTDC’s successes, visibility and outreach into the business communities of its six-county footprint. In addition, she is looking at making some changes that could strengthen the organization’s service. “I am an engineer. And my background is in environmental issues but even more so in economic development and entrepreneurship and connecting those with the university,” she said. The SBTDC, a federal- and state-funded organization, works with for-profit businesses offering a variety services such as general counseling, international business development, technology commercialization services and government contracting. The majority of the services are free. The SBTDC has specialists who help businesses with strategic planning, cash flow projections, understanding cash flow and understanding competitors through competitive and market analysis, McWhorter said. Through state partners with the university system, she said the center also guides businesses in military and government contracting, helps university researchers understand the market viability of their lab projects through its technology commercialization services and provides international trade assistance and help local businesses obtaining exporting capital. The SBTDC also aids business in disaster relief, she said. McWhorter recently was in Whiteville and Fair Bluff to help business within those two communities with recovery efforts from Hurricane Matthew last year. So far this year, the SBTDC has helped more than 270 clients, created and retained more than 440 jobs and helped businesses obtain $8.6 million in financing, McWhorter said, adding that she would like to see those numbers grow. The SBTDC’s Wilmington office, located at 803 S. College Road in a neighboring building next to the university’s Center for Innovation and Entrepreneurship, is undergoing a remodel. McWhorter said she is also working with the university to add landscaping and more visible signage to the streetscape in front of the building. To make the SBTDC even more visible in the community, McWhorter aims to share more of its stories. “We actually have some successes here. But we don’t have public releases on them. And that’s one of the things that I’m starting to work on because everything we do is confidential by federal law. But there’s processes you can go through to get the clients to sign off saying, ‘Yes, we worked with SBTDC.’ And so I want to be able to tell their story. I think there are so many great stories here to tell about our region. “And I also I think that when business owners see other business owners succeeding, it makes them want to succeed even more. And they can learn from others. And so success breeds success,” she added. Another measure she is taking to expand the SBTDC’s role is engaging with the Association of Public Land- Grant Universities and its Commission on Innovation, Competitiveness and Economic Prosperity. McWhorter said the SBTDC is looking for another employee and will eventually hire one or two graduate students from the Cameron School of Business to expand its service. The SBTDC currently has three people on staff.